With sadness we note the passing on June 3 of world-renowned violinist Arnold Eidus, at age 90. 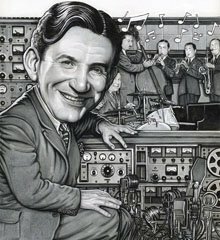 With pride we note his Raymond Scott connection: in 1950 Eidus performed in a duet setting at Carnegie Hall the only 20th century public recital of Scott's Suite for Violin and Piano. The five-movement Suite was Scott's only known "serious," classical composition, and we've heard anecdotal accounts that it was composed specifically as a showcase for Mr. Eidus. Though he was only 27 at the time, it was not the first time Eidus had appeared at Carnegie Hall—he had performed there as soloist on Lalo's Symphonie Espagnole at age thirteen! A rehearsal recording of the Suite was discovered in the Scott collection at the Marr Sound Archives, and was released last year on Basta, coupled with a 21st century recording by Davide Rossi and Ramon Dor. While researching liner notes for the CD, I interviewed Eidus by phone at his Boca Raton home on August 24, 2011. He was a gracious man, and while he could not recall recording or performing the Suite ("I've done thousands of sessions over the years"), he did remember Scott—fondly. "I got along well with him, never had a problem," Mr. Eidus recounted. "I had a pleasant time with him." Unlike a number of musicians who worked in the 1940s and '50s under the demanding bandleader, Eidus said, "I can't say anything bad about him." (Not that we were asking.) The 1950 disc did not indicate the identity of the pianist, but subsequent research revealed it was Carlo Bussotti, who had accompanied Eidus at the 1950 Carnegie concert. Eidus enjoyed a storied career as a studio accompanist in the jazz, classical, pop, and Latin fields. His session logs include dates for Sinatra, Perez Prado, Wes Montgomery, Lena Horne, Cal Tjader, Doris Day, Freddie Hubbard, and hundreds more. Among his other professional pursuits, Eidus facilitated the hiring of musicians for various projects. When Scott was named conductor on TV's Your Hit Parade in 1950, he needed a string section. 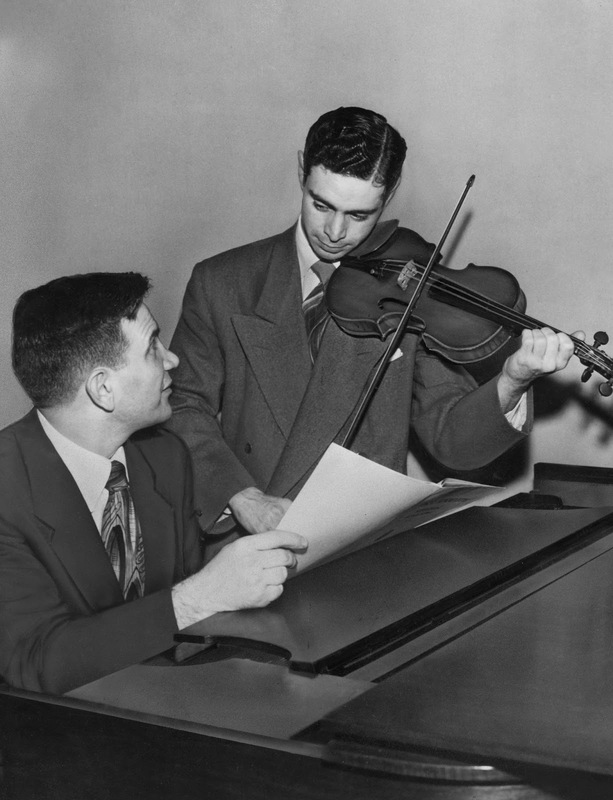 Eidus contracted a half-dozen players, and landed a violin chair in the YHP orchestra himself for a year or two. He also recalled touring briefly with Scott, and launched his own classical record label, Stradivari Records, in the 1950s. A busy man, now eternally at rest. Condolences to his family. 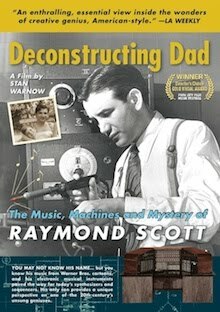 Fascinating stuff, and it brings to mind a theory of mine about Suite for Violin and Piano that I've had for awhile--that though it may well have been written as with Eidus in mind, it's also entirely possible that it was written as a tribute Raymond Scott's brother, Mark Warnow, who had recently died. Though a conductor for most of his career, Mark was also a violinist, and I like to think Scott, who of course was an accomplished pianist, wrote it as a memorial piece and spiritual musical reunion with his brother. That's an interesting theory, Stan—and certainly not out of the question. Surely Raymond, a notorious perfectionist, must have been composing the Suite over several years, perhaps as early as 1948.